The archaeological site of Dymaion Wall is situated to the north of Lake Prokopos. It was constructed circa 1250 BC on a naturally defensible position in the Black Mountains, which dominate the area. Mythology mentions that it was built by Herakles in his struggle against Aigeias, the King of Ileia. The last military events took place there during the German occupation and it was used by the Germans for the installation of their anti-aircraft weapons. There are ruins from a small castle dating to the period of the Frankish occupation on the north eastern section of the rock at Cape Kounoupeli. There are old coastal artillery facilities at the top of the hill and below the observatory. There are abandoned old thermal baths below the hill, in the Irmini Baths region, with spring water gushing from a cave at the base of the rock. 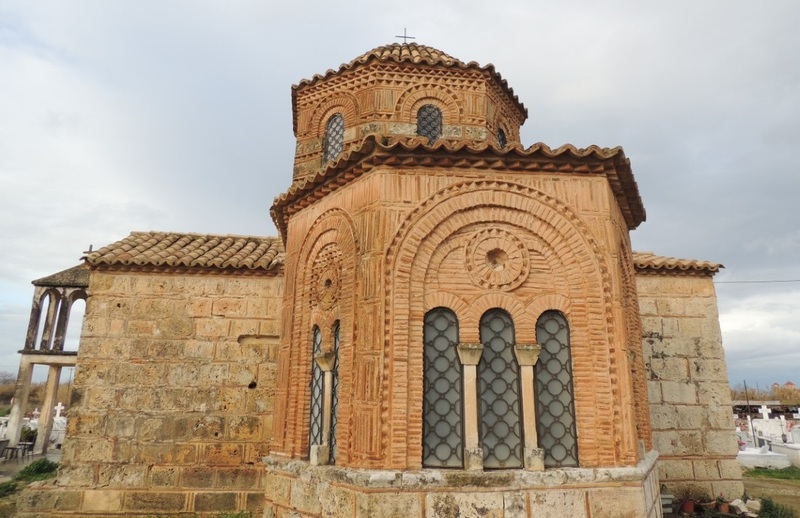 At the entrance of Old Manoliada there is a Byzantine church that dates back to the 12th century.